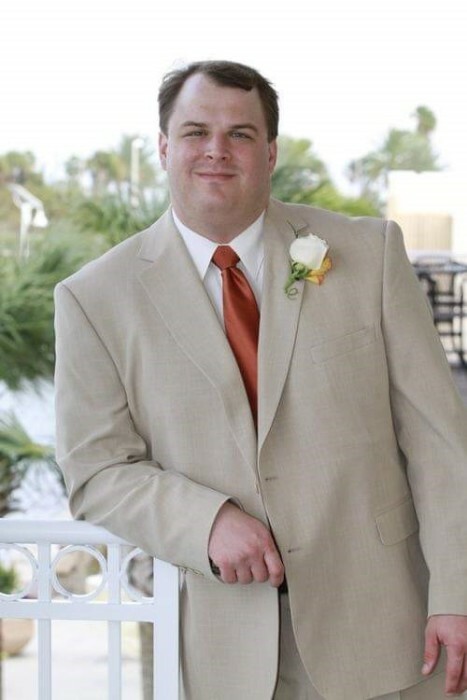 Jason Alan Swartz, age 39, of Dunnellon, FL, passed away unexpectedly early Friday morning, December 21, 2018. He was born in Van Wert, Ohio on June 1st, 1979 to John Michael and Denise Beth (Stevens) Swartz. Jason was employed at the Comfort Inn in Ocala, FL where he was the General Manager. Jason was a graduate of Bowling Green High School and earned a Bachelor’s degree in Hospitality management from Bowling Green State University. Jason was one of the kindest, loving and gentlest souls you would ever meet. He was loved, respected and thought highly of from everyone he met. Jason loved his family and friends more than anything. He was a very proud husband and father. He spent 14 wonderful years with his wife. He adored his daughter, she was the light to his world. Jason enjoyed spending many vacation with his family at the beach and Walt Disney World. He was an avid sports fan, and he was a diehard Cleveland Browns and Notre Dame fan. He also loved to watch the Baltimore Orioles and Cleveland Cavaliers. Jason was well known in him home town for his vocalness at the BGSU basketball and football games. He was a very loyal sports fan and loved to watch his teams play. Growing up Jason was very involved with his school and church, St. Aloysius, where he served as an altar boy, and played CYO basketball. He was very active in sports, he umpired, and coached a little league baseball team all the way to a championship. Jason is survived by his loving wife, Kristine Swartz (Kristy), beautiful 2-year old daughter Ella Grace Swartz, (both of Dunnellon, FL), parents John and Denise Swartz (Fremont, OH), his younger sister, Kristen Swartz (Largo, FL), his grandfather, John Swartrz (Haines City, FL, in-laws Barry and Lori Guthrie (Ocala, FL) and many aunts, uncles and cousins. He was preceded in death by his maternal grandparents Charles and Amanda Stevens, and paternal grandmother Teresa Swartz. In lieu of flowers, a special account has been set up for his daughter and contributions may be made to: Ella Grace Swartz, 12291 N. Oakleaf Terrace, Dunnellon, FL 34433.